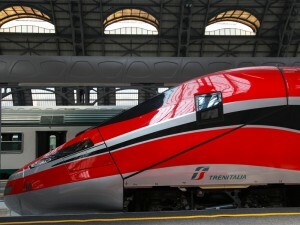 Emirates and Trenitalia, Italy’s national railway company have announced a new codeshare agreement which will enable Emirates’ customers to discover new destinations across Italy. With just one easy-to-book ticket, travellers will be able to fly on Emirates and reach some of Italy’s picturesque cities and towns using high speed, modern and comfortable trains that leave from Emirates’ four Italian gateways – Bologna, Milan, Rome and Venice. Customers can now start booking their codeshare trips via Emirates’ website and travel onwards to these destinations. “This codeshare agreement with Trenitalia opens up new possibilities for our customers and complements our current services to Bologna, Milan, Rome and Venice. With Trenitalia, travelling to the Far East from Foggia or to Padova from Sydney has never been easier. Emirates already flies more than 1.6 million passengers to and from Italy every year. With this codeshare agreement, we’re connecting Italian regions to our global network, significantly boosting the Italian tourism industry,” said Hubert Frach, Divisional Senior Vice President – Commercial Operations, West, Emirates. Emirates and flydubai announced their latest codeshare flights planned to Krakow in Poland from April 8 and Catania in Italy from June 13. The partnership initially began with codeshare flights to 29 cities, and this has quickly expanded to meet demand as customers realise the benefits of increased flight frequencies, expanded access to global destinations on a single ticket, and more. 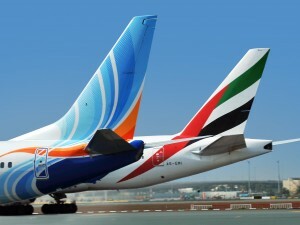 For bookings under the codeshare, Emirates passengers will receive complimentary meals and the Emirates checked baggage allowance on flights operated by flydubai in Business and Economy class. 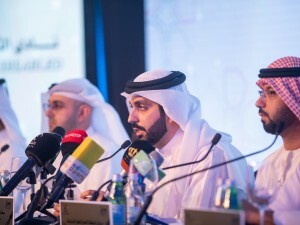 Under the partnership, passengers will benefit from a reduced minimum connection time of 120 minutes between Emirates’ home in Terminal 3 and flydubai’s in Terminal 2. Emirates Skywards members earn Skywards miles and Skywards Tier Miles on codeshare flights as per the existing Skywards programme. In addition to the Emirates free checked baggage allowance, Skywards Premium members can also enjoy their extra checked baggage allowances of 20 kg (Platinum members) 16 kg (Gold members) and 12 kg (Silver members) on codeshare flights operated by flydubai. Skywards Silver, Gold and Platinum members travelling on codeshare flights can access flydubai’s Business check-in counters and receive priority tags. Qatar Airways is in negotiations to purchase a 49 per cent stake in Italy’s Meridiana Fly, revealed Qatar Airways Group Chief Executive His Excellency Akbar Al Baker during a press briefing in Tuscany. H.E. Al Baker said that Italy is an incredibly important destination in their network and they will keep investing in new routes and increase services in this market. Once the runway extension at Florence Airport is complete, they intend to start a service to this historic city. They also committed to upgrade the aircraft type currently flying to Pisa from an A320 to a wide body model as soon as they receive more aircraft in their fleet. Celebrating the launch of the airline’s flights to Pisa in August 2016, the press briefing was also attended by His Excellency Abdulaziz Bin Ahmed Al Malki Al Jehani, Qatar’s Ambassador to Italy. The Italian city of Pisa welcomed the first Qatar Airways at its international airport. The Airbus A330 landed at 06:55 and was greeted by a celebratory water canon salute as well as a welcome ceremony with flags and drums from people in traditional costumes. The VIP delegation on board the flight, which included the airline’s Senior Vice President for Europe, Jonathan Harding, were welcomed by airport authorities representatives Marco Carrai, President of Tuscany Airports; and Gina Giani, CEO of Tuscany Airports as well as Marco Filippeschi, Mayor of Pisa. Pisa is the fourth city in Italy to be served by Qatar Airways, which has been flying to Milan since 2002, to Rome since 2003, and to Venice since 2011. The airline already offers five daily frequencies to Italy: two to Milan and Rome and one to Venice. 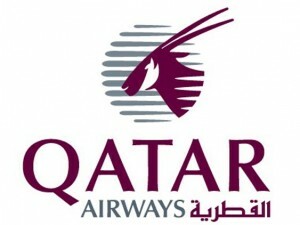 The new daily flight to Pisa will increase the airline’s weekly flights from Doha to Italy from 35 to 42. In the last year, Qatar Airways has strengthened its existing Italian routes and demonstrated its commitment to the Italian market by introducing new, wide-body aircraft generating a 35 per cent increase in passenger capacity.